BigReps’ innovative, biodegradable material is weatherproof thanks to its extreme UV and heat-resistant capabilities and its high strength properties. 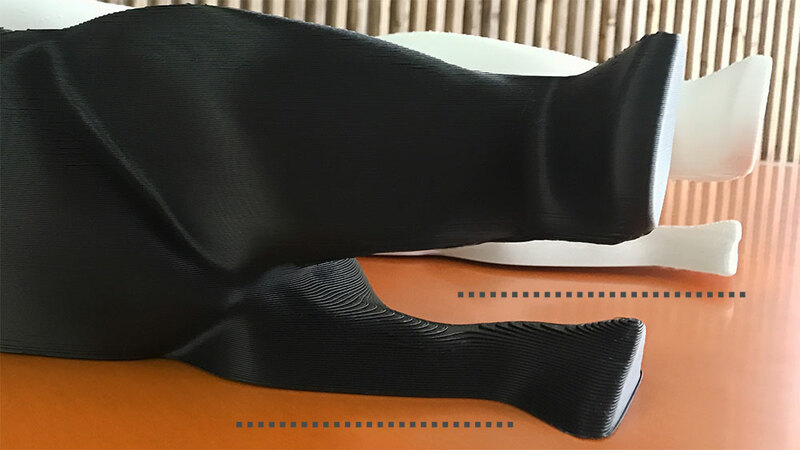 With 3D printers that have an open and unheated build chamber, such as the BigRep ONE, low printing temperature is the limiting factor when it comes to producing heat-resistant prints. 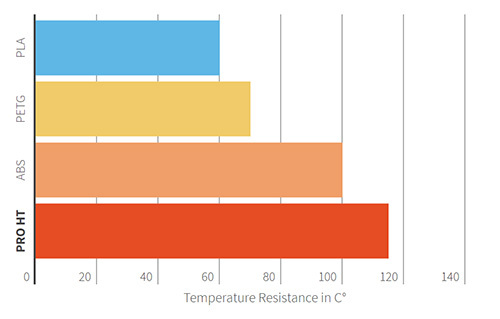 With the BigRep Pro HT (HT = high temperature), we provided a high-performance filament as an ABS alternative that can easily be used in low-temperature printers, providing even better thermic and mechanic properties. The BigRep Pro HT filament is a compound composed of 100% of renewable and naturally pure raw materials. 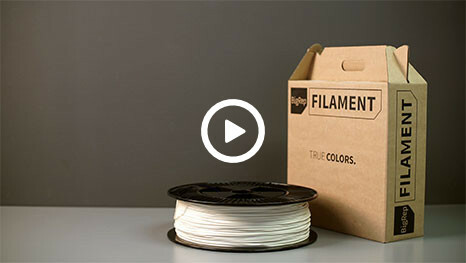 The new Biofilament is a non-toxic alternative to conventional filaments used in 3D Printing and it has even superior heat resistance. The material presents excellent adhesion to the print bed, as well as minimal shrinking and warpage factor. It is, therefore suitable for complicated and especially large print objects. The printer does not require a heated chamber. The Biofilament meets all requirements of European regulation for food contact. Our innovative, biodegradable material is weatherproof thanks to its extreme UV and heat-resistant capabilities and its high strength properties. “We are convinced that the future of large-scale 3D printing lies mainly in material research. We are very proud to introduce the BigRep Pro HT, the world’s first high-performance filament as an ABS alternative, which thanks to its very high heat-resistant capabilities, UV and weather resistance and extremely high strength properties, is especially suited for outdoor applications.